Hisaronu perches on a high plateau four kilometres from Oludeniz and is surrounded by stunning mountains. The once sleepy villages of Hisaronu and Ovacik have merged to create a lively resort with a distinctly British atmosphere. The nearest beaches are the famous Oludeniz lagoon or the pebble and sand beach of Belcekiz. A dolmus leaves for these popular spots every five or ten minutes. Why buy property in Hisaronu? Hisaronu has seen a sharp increase in popularity in the last 20 years, becoming very popular amongst tourists which have resulted in an increase of hotels, bars, restaurants, shops, and also an increase in the nightlife in Hisaronu during summer. Hisaronu is ideally situated for those who want to buy property in a good location. Being so close to Ovacik and Oludeniz, Hisaronu offers plenty of entertainment for those who enjoy the nightlife. Property in Hisaronu can be expected to be relatively high in comparison with other regions in Turkey. But with the high costs come a strong rental yield for opportunity to gain an income from renting out your property. What is there to do in Hisaronu? 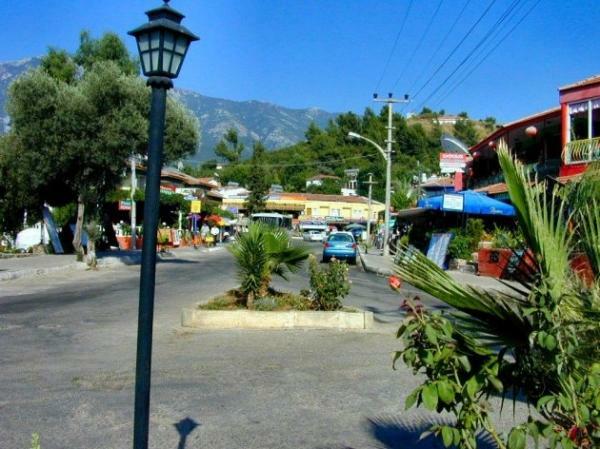 Close to the famous Oludeniz Beach, Hisaronu buzzes with bars, restaurants and shops. When night falls, Hisaronu becomes a party town. Those looking for more quiet, traditional or authentic towns may not enjoy Hisaronu and may be better off in another town, such as Kalkan. 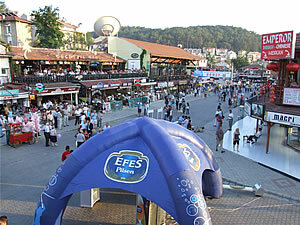 Hisaronu is a fantastic area for those who wish to buy property and also enjoy a good nightlife and busy lifestyle. Investing in Hisaronu will provide you with a great piece of Turkish real estate with a great potential to gain from the rental sector come summer. However, if you prefer a more quiet and quaint lifestyle and wish to buy a property to relax, then maybe areas such as: Kalkan, Uzumlu, and Ovacik would be more suitable for you. Hisaronu's summers are long and very hot, so beware of the strong sun in the middle of the day. The winters here are mild and most of the rain falls during this time.